We are located a few steps away from the beach at 17 Old Orchard Street (the main strip), Old Orchard Beach, Maine. Right next to Palace Playland. People love the beach fries, hand cut battered onion rings and fresh fried dough. Our pizza is made with home made pizza dough! Coming soon we will be offering fried dinners. Choose from fried shrimp, fried haddock, fried clam strips, fried clam cakes, and chicken tenders. All served with French fries, cole slaw, and a roll. We use dedicated fryolators for each of our food types. So, no other food items are cooked with the seafood. Even our fried dough is cooked in its own oil. "Beat pizza in OOB!! Great service"
"Great pizza and location. Crinkle cut fries and onion rings are large and tasty. One of the only places to grab fried dough in the area! Have been eating here since they opened in the 70s and always loved it. If you’re unsure about the hours just call ahead because like many small businesses at the beach they close when it slows down at night. Staff has always been friendly and it’s the only place that stays loyal and open late fall and early spring before and after the tourists arrive"! "Great pizza! We love to go there each time we come to OOB"! "When we visit Old Orchard Beach we always have Liza’s pizza, great pizza and good service". 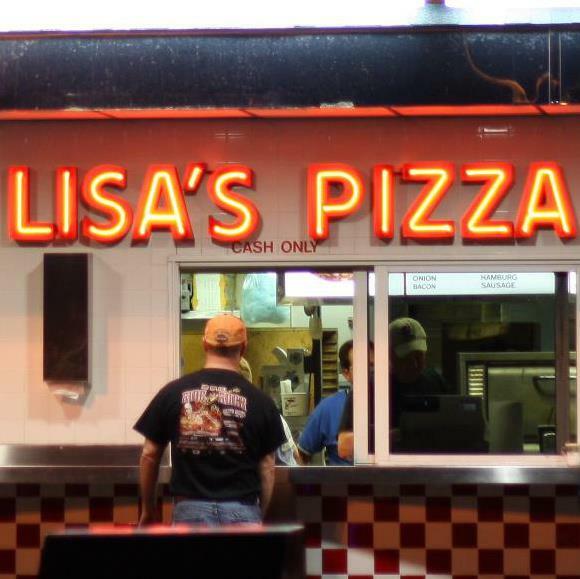 "Lisa's Pizza has been the place to go for pizza and fries for decades". "This is a place that I used to go when I was a kid and still go to,to this day"! !